19 January 2019. Foursight at Wolverton take 2. 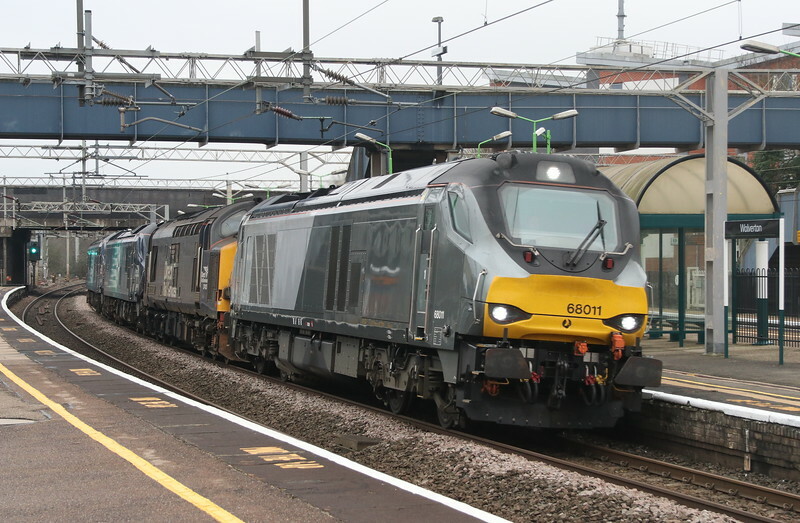 Chiltern liveried 68011 leads 37423 Spirit of the Lakes + 88008 Ariadne + 88007 Electra with the 0K69 0935 Wembley LMD - Crewe Gresty Bridge.